The Chargers are usually not installed in the vehicle. The traction battery is usually charged separately from the vehicle. Charging stations are in development, a tendency to EnergyBus process is emerging. The charger is usually kept in the vehicle. 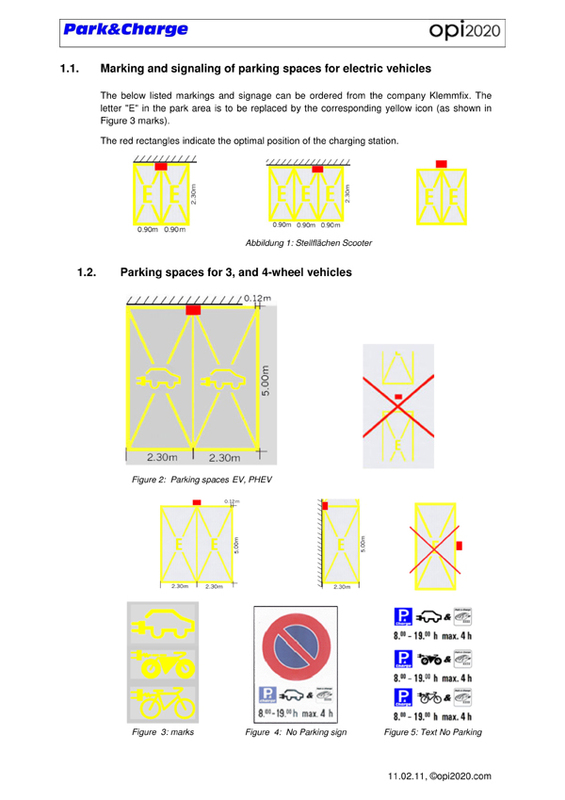 Per space, a maximum of 4 vehicles will be connected to a charging station. The charger usually has a capacity of up to 1.5kW. More than 3 kW can be expected only in very exceptional cases. The charger is carried in the vehicle. In most cases, a power of 3 kW per vehicle is sufficient. At a charging station can be charged up to 2 - 3 vehicles. These three groups have different demands on the charging infrastructure and on to the space. Mixing these three groups leads to conflict. A clear separation is therefore necessary.